Homes have renovations and appliances added or replaced with time, but as people increase in the family, there comes a need to install a system that can help the people move around the house more easily even if the house has multiple floors. Such situations need the installation of an elevator which is possible in large homes and penthouses. The private elevators for homes are not like their industrial counterpart and are much smaller and quieter in comparison. These elevators run on a slower motor with no hydraulic system that eliminates the need for any drilling work to be done and it is usually restricted to four stops as per most of the manufacturer specifications. These elevators are of great use and especially the older folks in the house who have difficulty in going up the stairs. The elevators are very power efficient and they also go low on the utility bills and there are many different cab designs that the people can choose from to have in their private elevators. Having the required amount of space to construct the shaft and bearings to accommodate the cab. Sufficient room to house the elevator motor and cables. Minimum of 2 floor levels for the elevator to stop on. 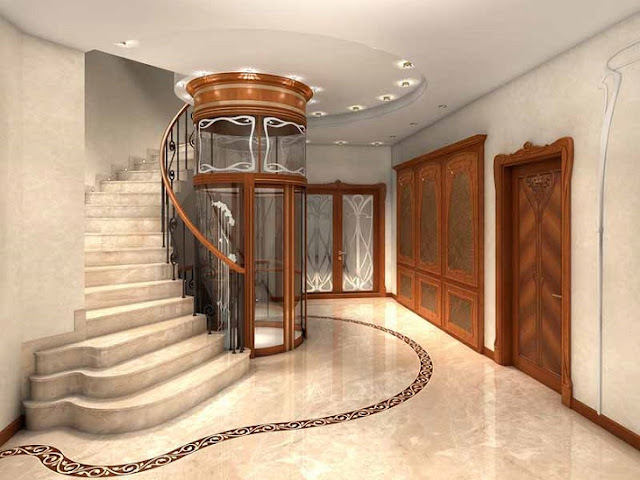 Once that has been fulfilled, the client can then move into the next step of details which is the elevator itself. 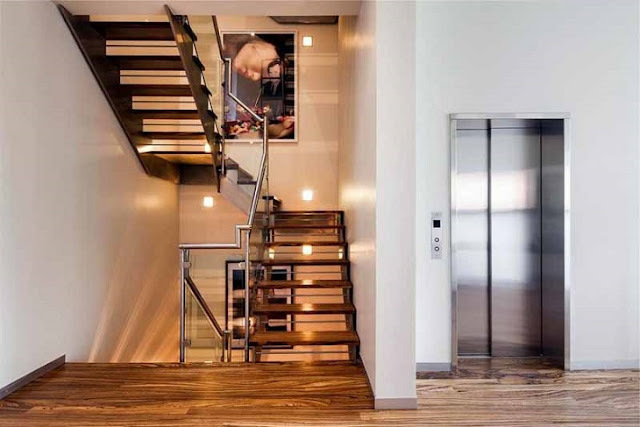 The home elevators do not run on a traditional hydraulic motor used in buildings and instead uses a traction based motor that is much smoother and quieter as well. Customers can even go for a hydraulic drive motor which is normally suitable for heights of up to two stops; however, finding a quiet hydraulic motor can be a difficult task and since the drive is connected directly to the cab, it can be expensive to soundproof the shaft but due to safety regulations, that cannot be done. These elevators can be bought either with the option of a standard cabin or even a luxury based cabin at a higher cost. The elevators are very quiet and even in cases of hydraulic motors, quieter versions are available. They are very easy to operate and maintain with various agencies even offering quarterly maintenance plans to help keep them in good shape. The new design allows for easy construction and minimized drilling and this means that there are minimal drilling operations. The elevators are all equipped with the right safety equipment and an emergency system to help fulfill the regulations. The system has an automatic cut off in case of any emergencies and many manufacturers even offer the option to have earthquake proofing to be installed in order to prevent any sort of collapse during disaster. An important thing to avoid in cases of buying such elevators is to avoid the used elevators. While such elevators are cheaper than their brand new counterparts, they can be especially dangerous considering the fact that all the components have faced a significant amount of wear over the period of use. The elevators must be kept well maintained in order to prevent any forms of accidents which mean keeping the components in good shape and replacing worn out components.